Home » Is Facebook’s reach declining? Facebook is adapting to the evolving social media environment. December 2013 Facebook’s new algorithm went live. It has caused an uproar amongst marketers, they claim Facebook has lost its edge as a marketing tool. Is it actually the case? “We’ve noticed that people enjoy seeing articles on Facebook, and so we’re now paying closer attention to what makes for high quality content. We expect organic distribution of an individual page’s posts to gradually decline over time as we continually work to make sure people have a meaningful experience on the site”- Facebook team. That pretty much sums up everything. Has the reach on Facebook’s declined? Yes. Is it a positive development? Debatable. Facebook’s new algorithms went live December 2013. The new algorithm is engineered to deliver relevant content to the users – it is user oriented. Therefore it will be a hasty decision for marketers to term the new algorithm as a liability. Facebook appeal is valid due to its ability to provide relevant content to its users. Therefore to keep users engaged relevant content has to appear in their feed. Facebook has grown to a billion users over past 10 years. 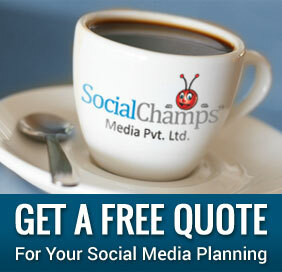 Numbers of businesses on Facebook too have increased & the content they send out had clogged the feeds. No one likes irrelevant content & the new algorithm prevents spamming. Brands are feeling the heat & are experiencing noticeable decline in viral reach since the algorithm change. Further Facebook has also imposed penalties on brands that overtly ask for likes or shares – Facebook is saying ‘earn your engagement’. Quality is on Facebook’s mind. Marketers relying on viral content will have to work extra hard hence forth. They have to qualify their content & the qualification criterion is relevant quality content. Reach now revolves around the tastes and preferences of the user. Facebook is attempting to maintain the quality of the news feed because its long-term success depends on it. People will abandon it if they are not able to see relevant content. There is always the option to buy Facebook ads but lets focus on organic reach. Hence forth posts should possess the DNA that has potential to generate clicks, comments, likes, shares to increase the reach. Nobody likes dull content & the dull content is often ignored. Facebook’s new algorithm aims to reduce boring content in the feed – it is urging marketers to be specific about their audience and design content which suits their taste. Secondly marketers have to implement content strategies which will help to increase their audience base – more audience engagement per post increases its shelf-life. Other social sites were abandoned because Facebook was a better option to increase reach. Today a social media platform might have billion users but if its users are bombarded with irrelevant content its efficacy as a marketing tool is compromised. Facebook has made a wise move with its new policy which should serve it well.